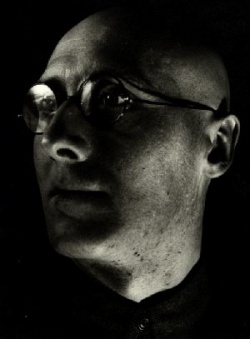 Photo by Alexander Rodchenko, 1928. Itogo, 1924. 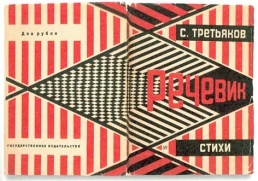 Cover by Rodchenko. Rechenik, 1929. 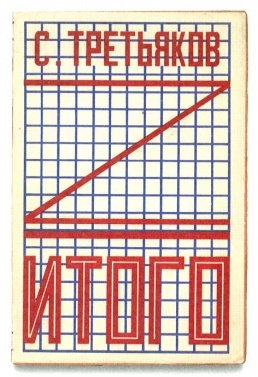 Cover by Rodchenko. Sergei Mikhailovich Tretyakov (Сергей Михайлович Третьяков; 1892–1937) was a Russian writer, playwright and poet-futurist. Devin Fore, All the Graphs: Soviet Factography and the Emergence of Modernist Documentary, University of Chicago Press, forthcoming 2016. Situates the multi-media work of Sergei Tretiakov within the material culture of the early Soviet period. This page was last modified on 10 December 2016, at 21:15.